I am a baker. I may not expect candlelit dinner, a bouquet of flowers, and a heart shaped box of chocolates on Valentines Day, but I will bake for you. It’s not even that it’s for Valentines Day, I just want to bake for you! For no reason other than the fact that baking makes me happy, and dessert makes others happy, and sweet chocolatey goodies puts smiles on peoples faces. Also, I just got back from a 10 day holiday where I had no access to an oven, which means I kinda needed to just bake something. Anything. 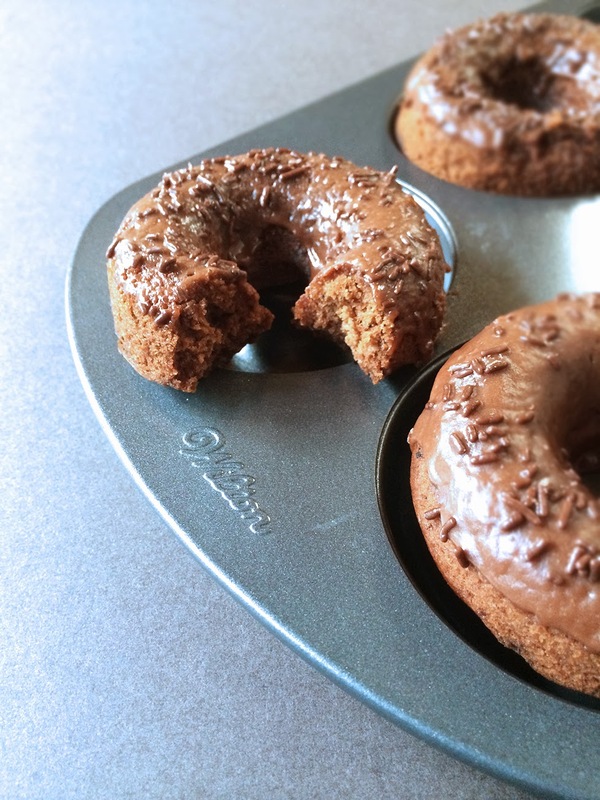 So, seeing as my boyfriend claims to love doughnuts but hasn’t had one in ages… I baked doughnuts! Gooey and moist Nutella doughnuts, topped with a sinful Nutella glaze and assorted sprinkles. As you can see, I have no will power. For those of you who love doughnuts but, like me, are kinda iffy about buying a whole box of the deep fried stuff from your local doughnut shops, try out this recipe. 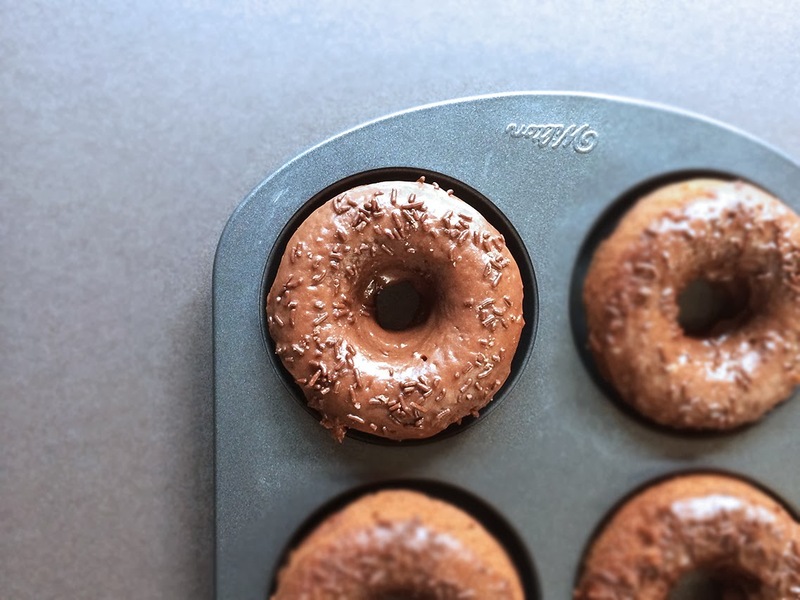 Unfortunately, you’ll need to buy one of these doughnut baking tins. I got mine from Wilton a couple of years back, and it’s fracking expensive to buy Wilton products in Malaysia, but I’ve managed to put it to good use since then… my youngest brother’s kind of a doughnut fiend. Beat the sugars, Nutella and butter until combined, then add the egg and vanilla and continue to whisk until incorporated. Then add half of the flour mixture to the batter, beat until combined and pour in the milk and continue to beat for another minute or so before adding the rest of the flour. Do not overmix the batter, just whisk until it’s all mixed thoroughly. Mix all ingredients in a bowl until combined, then dunk the doughnuts in to cover the top. Or you can spread it on with a spoon if you have the patience. Sprinkle with chocolate rice, chopped walnuts, rainbow sprinkles, etc.